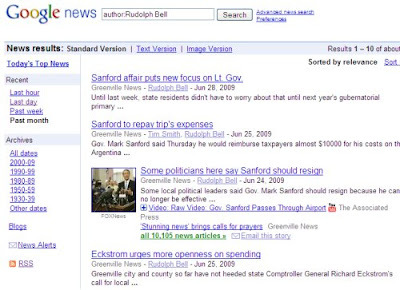 Google News now lets you add "author:name" as a search term. This lets you more precisely search the news for all of the articles written by a particular author. Once you've done the search, you can then subscribe to the RSS feed in your favorite news reader or have email news alerts sent to you when new news articles match your search criteria.